Marilyn Monroe Quotes are very interesting. I wouldn’t say that they are the most positive or encouraging quotes of all in the world but they’re quotes from Marilyn Monroe. Enjoy! "This life is what you make it. Not matter what, you're going to mess up sometimes, it's a universal truth. But the good part is you get to decide how you're going to mess it up. Girls will be your friends - they'll act like it anyway. But just remember, some come, some go. The ones that stay with you through everything - they're your true best friends. Don't let go of them. Also remember, sisters make the best friends in the world. As for lovers, well, they'll come and go too. And babe, I hate to say it, most of them - actually pretty much all of them are going to break your heart, but you can't give up because if you give up, you'll never find your soul mate. You'll never find that half who makes you whole and that goes for everything. Just because you fail once, doesn't mean you're gonna fail at everything. Keep trying, hold on, and always, always, always believe in yourself, because if you don't, then who will, sweetie? So keep your head high, keep your chin up, and most importantly, keep smiling, because life's a beautiful thing and there's so much to smile about." Give a girl the right shoes, and she can conquer the world." All little girls should be told they are pretty, even if they aren't." 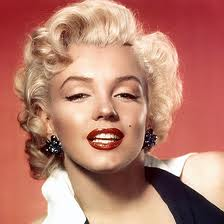 "Hollywood is a place where they'll pay you a thousand dollars for a kiss and fifty cents for your soul. I know, because I turned down the first offer often enough and held out for the fifty cents." What is your favorite Marilyn Monroe Quote? Add it below.